Eating raw meat whether your on a raw meat diet or not, should include grass fed meats. Grass fed meats are probably the healthiest and safest meats to eat especially if you are on a raw meat diet. Most people fear eating raw meat because they have been convinced that eating any kind of raw meat will give them human tapeworms. However, many cultures have been eating raw meat for a very long time! Raw meat does come with some very powerful benefits and you will have to weigh these benefits against the possible risk of getting human tapeworms. 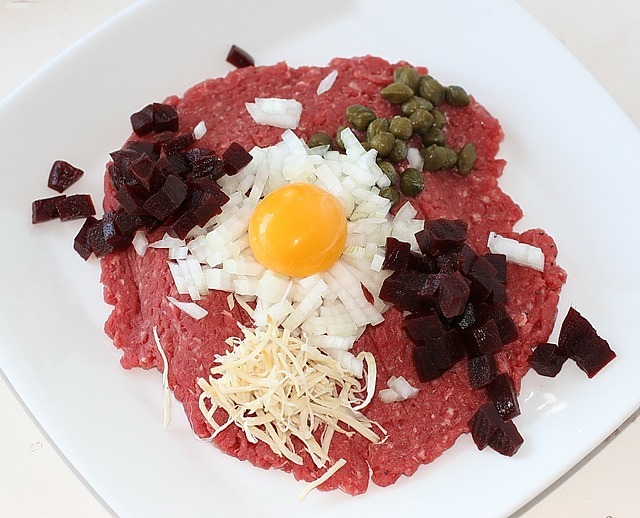 Eating raw meat is a great source of protein which helps to build and repair your body tissues. And eating raw meat is easier to digest because it contains enzymes and other vital factors which are missing in cooked meats. Enzymes in meats will be destroyed by cooking! This will put a huge strain on your body as it needs to generate the necessary digestive enzymes to make up for what cooking took away. Eating raw foods that contain enzymes and other vital nutrients allows your body to use more of its energy towards rebuilding worn out cells and keeping your immune system strong. Meats that are cooked produce extreme toxicity or AGEs, whereas meats that are raw produce no toxic effects. High antioxidant food - raw meats are a great source of glutathione which is one of the most powerful antioxidants. Finally, humans have been labeled as Omnivores by many and therefore, require both raw animal and raw plant foods to prosper. Raw meats can contain parasitic organisms such as tapeworms, hookworms, etc. and that does include cows feeding on contaminated grass or grass fed meats. Tapeworm infection can be acquired by eating raw or the undercooked meat of an infected animal. Tapeworms have both male and female parts and therefore, can produce their own parasitic eggs. These parasitic worms can become a real problem if they thrive and grow inside of you. The symptoms of tapeworms will noticeably arise when a human tapeworm becomes too large and starts blocking your bowel. And it can also deprive your body of important nutrients. Shockingly, human tapeworms can grow to as large as 26 to 27 feet in a pretty short time. However, some raw foodist insist that "wormlike" parasites are beneficial and not harmful. Rather these organisms are seen as nature's "cleanup crew" by some raw foodist. As of lately, I have gotten over my fear of consuming raw meat and eat raw grass fed meats without any fear or problems. 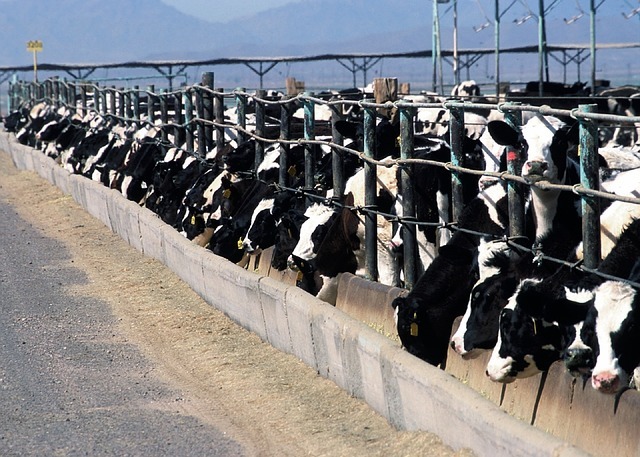 And each day that an animal spends in a feedlot, its supply of Omega 3 is diminished. Omega 3 fatty acids play a vital role in every cell and system in your body. It's an essential nutrient for your brain and helps to combat depression, attention deficit disorder, and schizophrenia. If your deathly afraid of eating raw meat, freezing raw meat can kill some pathogens and parasites, but not all. It's important to note that raw meat can come with its share of bacteria and it's also important to note that most of your digestion will come from bacteria called "friendly bacteria". If you want a good amount of "friendly bacteria" because your on a raw meat diet - you'll want to eat grass fed meats. Be aware of the symptoms of tapeworms and have yourself tested using a doctor trained in spotting human tapeworms if you suspect that you have human tapeworms. Grain feeding promotes the growth of dangerous E. Coli that is more likely to pass through your stomach and infect your colon. 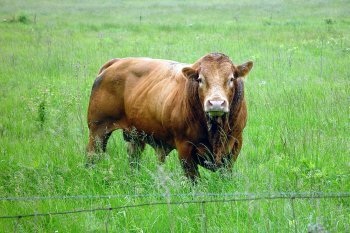 When cattle are fed grass, the amount of dangerous E.Coli decreases dramatically probably along with other parasites. Also, nano bacteria is abundant in factory farmed animals and is another reason to choose grass fed meats! BTW, worms have also been linked to grain eaters - maybe even more so than people on a raw meat diet.